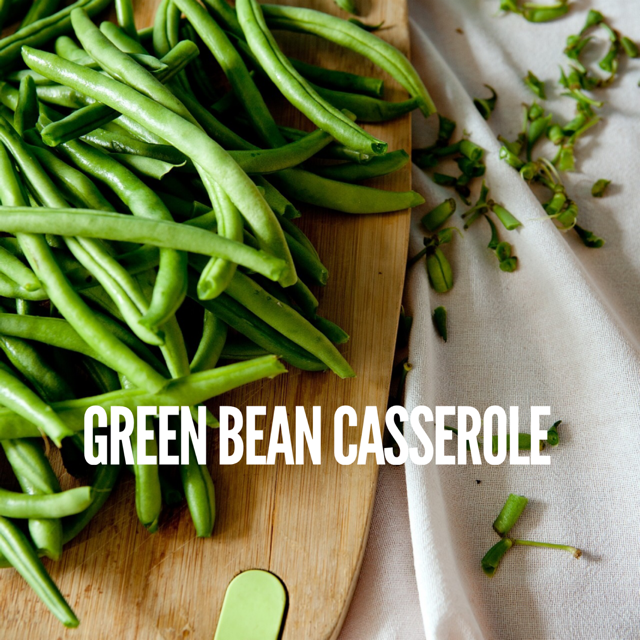 Thinking of adding some interest to your traditional Green Bean Casserole Recipe? Here’s a delightful and tasty alternative that will give a boost to your health! Heat EVOO in a large saute pan, add mushrooms. Saute mushrooms for 3-5 mins until browning, add shallot and thyme. Saute for another 2 mins or until shallot is translucent. Stir in green beans, add salt and pepper and 1/4 cup chicken stock. Let simmer for 3-5 mins until beans turn bright green in color. Remove from heat, taste to make sure green bean is al dente and well seasoned (add more S & P if needed). Add lemon zest and serve immediately.